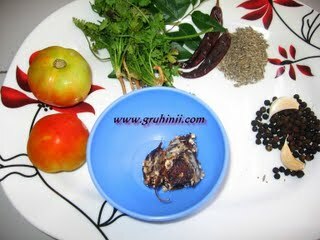 Grind tomatoes raw and mix with tamarind juice. Keep it aside. Now grind pepper, cumin, red chilies, garlic and coriander and curry leaves roughly and keep it aside. In a pan take oil fry mustard, cumin and urad dal add the grinded mixture of pepper. Add turmeric and then tamarind and tomato juice with required salt. 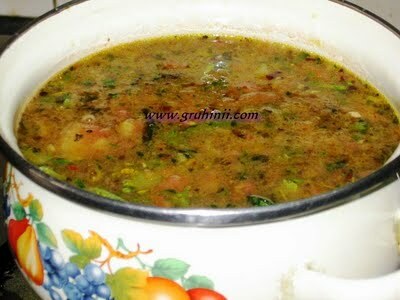 Boil for 2 minutes and garnish with coriander leaves.